Dance the Calories Away at the U-Jam Fitness Class July 12 | Joe Hayden Real Estate Team - Your Real Estate Experts! Not quite ready for swimsuit season? Go to the U-Jam Fitness Class and sweat off calories through dancing. Lots of music and lots of energy will get you moving, sweating and shedding extra weight. It's free to attend, so you've got nothing to lose but weight. 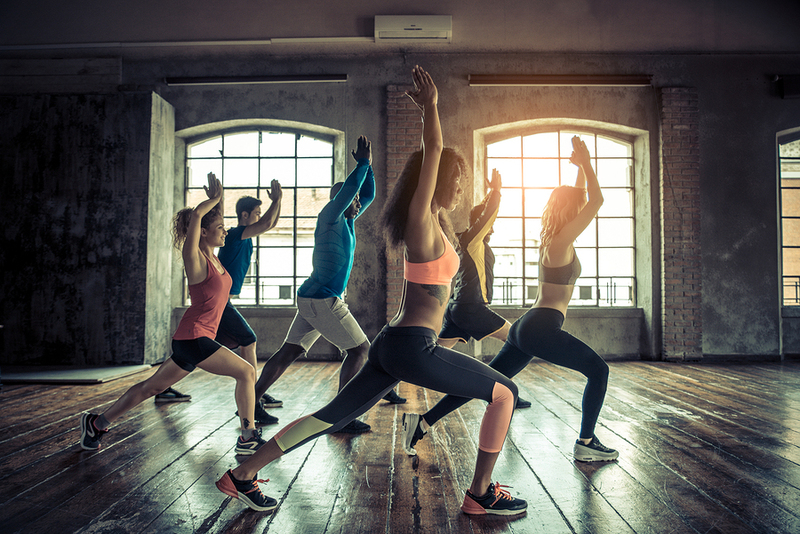 Dance moves from around the world are mixed and blended together with plenty of urban flair to create a fun, fast-paced workout that will get you sweating. The U-Jam Fitness Class is designed to be engaging and energizing, not to mention family-friendly. All ages are welcome to come sweat it out at Louisville's famous Fourth street Live. Let the music get you moving and sweating, and get in a good workout that will help you burn up excess calories. Be there from 6 to 7 pm, and bring your dancing shoes (and your workout gear). Fourth Street Live is famous for its nightlife. This is a tourist and local destination alike thanks to the restaurants, bars and live entertainment. Go to 400 S. Fourth Street to see it all, and do some sweating. After you work up a sweat, cool down a little in Old Louisville. This historic neighborhood is just a few blocks away, right outside downtown Louisville. To really see Old Louisville, you have to walk down the shaded streets and explore the hidden courts. It’s a perfect way to cool off a little after a hot workout, and the best way to see the amazing architecture in Old Louisville. This neighborhood was built at the end of the 1800s, and it's still filled with original homes. Next to flickering gas lamps, tall Victorian houses in brick and stone designs compete to see which is prettiest. You'll see chimneys rising out of sloping roofs, round towers covered with ivy and decorative wrought iron touches everywhere. You'll see why Old Louisville is one of the city's most famous neighborhoods right away. Many of the beautiful Victorian homes here have been preserved and restored to maintain their beauty both inside and out, and Old Louisville is a favorite place to live for individuals and families of all kinds. You'll fall in love with the homes here, too. Take a walk to cool off after class, and see where Old Louisville takes you.